This video is about not being afraid to choose your own path in life. Today’s topic is to choose carefully the direction that you want to go, and don’t take anyone else’s path. We live in a world in the 21st century in which there are so many different choices to make, decisions to take, directions that you can go, different pathways you can take to get to almost the same destination. I’m not saying that you shouldn’t follow anyone or do anything that anyone has ever done before, and that you should blaze your own trail, but you should be very careful about the path you’re trying to follow. 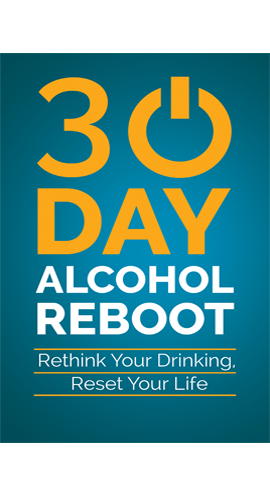 I’m talking about this more in terms of quitting drinking alcohol and then what to do afterwards, after getting rid of the alcohol. 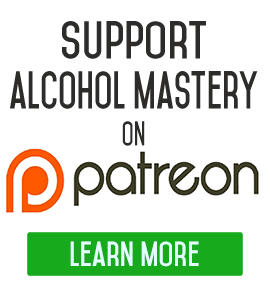 Often times, I try and deliver as many different techniques and tips on how to overcome the alcohol and move forward. Most of it has to do with leaving the alcohol behind you and picking up on a pathway that’s going to lead you towards and bring you into something which is really fulfilling and exciting; that big reason for getting you up every morning, and consistently and 100% giving yourself the commitment to doing these things. But, not ever alcohol technique is going to work for everyone. Not every way of doing this is going to work for everyone. Some of the things that worked for me are not going to work for you. If it’s not working for you, there are a few different things that you can do to change these things. One is that you can alter the actual technique itself, to try and do something a little bit differently. Try a different way of implementing it or you can just abandon it and try something completely different. 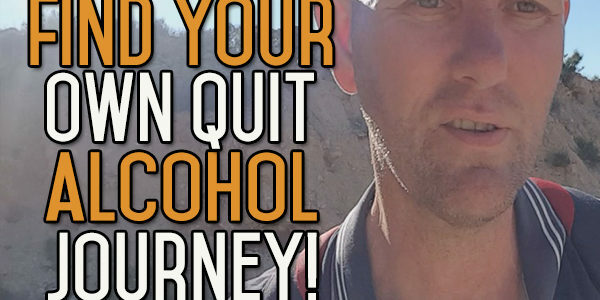 After quitting drinking, you have to choose your own path. You have to follow something inspirational for you. 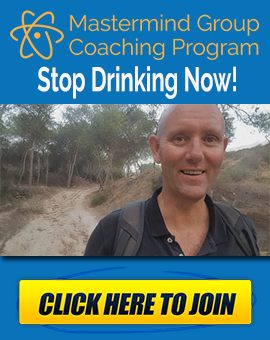 You need to be motivated to do this every day, to put distance between yourself and the alcohol, to move one step closer every single day to the destination you want to go. Motivation for me is all about getting yourself to do the things that you should be doing, and wanting to do it. It’s putting yourself in that state of mind. Even better, it’s getting yourself to do these things that you know you should be doing, and actually loving doing them. When you love doing something, you have no problem doing it. You’re motivated to do it, to put yourself through a lot more discomfort than you would be otherwise. And, growth in life, any growth in life is going to involve a certain amount of discomfort. So you need that motivation to pull you over the hump. When everything is good, when you’re going downhill instead of uphill, it’s a lot easier to keep going. But when you are going uphill, and when you’re feeling the discomfort of going uphill, you need that motivation to pull you on. I’m not trying to say that you should never follow someone else’s advice or direction. It’s something you have too do in life if you want to get somewhere, to stand on the shoulders of the people that have come before you and learn from them. Don’t try and reinvent the wheel every time. But you have to set out your own path. Take the instance of me doing the psychology degree. It’s through university, it’s directed according to someone else’s curriculum. Whatever they have laid down on paper, this is what I have to do. I have to follow this in order to progress. I have to go through assignments and someone else is going to make the decision of whether they’re good or not, but at the end of the day, what I do with that information and knowledge, and the degree I get is up to me. That’s going to take me down the path that i took. If you understand it from that perspective, I’m following someone else’s path a little b it so that I can build my own path down the way, so I can add more layers to my own particular journey. This can be summed up by something Ellen DeGeneres said: Never follow someone else’s path unless you’re in the woods and you’re lost and you see the path. Then, by all means, you should follow that path. What she’s saying is that if you see a track that’s easy to follow and it is going to take you to a destination that you want to go, which in that case is outside the forest, then by all means, take that path. But, don’t try and create your own path in the forest when you stand more of a chance of getting more and more lost the further and further you go into that. If you need to follow someone else’s path, then take their path but have your own destination in mind. Have your own ultimate destination. You’re following this person in order to achieve your goals, not theirs. Follow the desires that you want. Follow the pursuits that you want to pursue. Ultimately, get to the end goal that you want in life. If you do that, you’re going to have a happy life. Until next time, come on over to the website and sign up for our Quit Drinking starter pack. There’s a lot of information to help you. 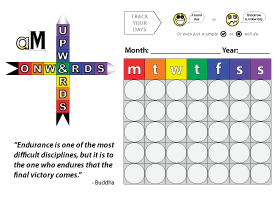 There are a couple of videos and books, and a few other bits and pieces there to give you the best chance to getting you across that starting line and ultimately give you the life that you want to achieve. FIGURE OUT WHAT WORKS FOR YOU. THEN, JUST DO IT.